YA paranormal Romance Giveaway + custom-made corset! I started this giveaway on Valentine’s but have extended it so I can do only last push. This is for young adult readers only. Enter to win a corset from Versatile Corsets (an amazing, Portland Oregon business). My friend Janet is a “corset connoisseur” – she’ll help you shop. Winners will also get a big package of dark fantasy paranormal romance books I like. I chose them by their covers, rather than theme, but they’re all excellent reads. There are lots of ways to earn entries, so do as many as you want to – also don’t forget to grab your special link in the “Share this Contest” field. You can share that on social media, with the images down below – you earn more entries every time someone signs up. I’m using this giveaway to get the word out about my next two books, which are dark, pseudo-gothic fantasies. 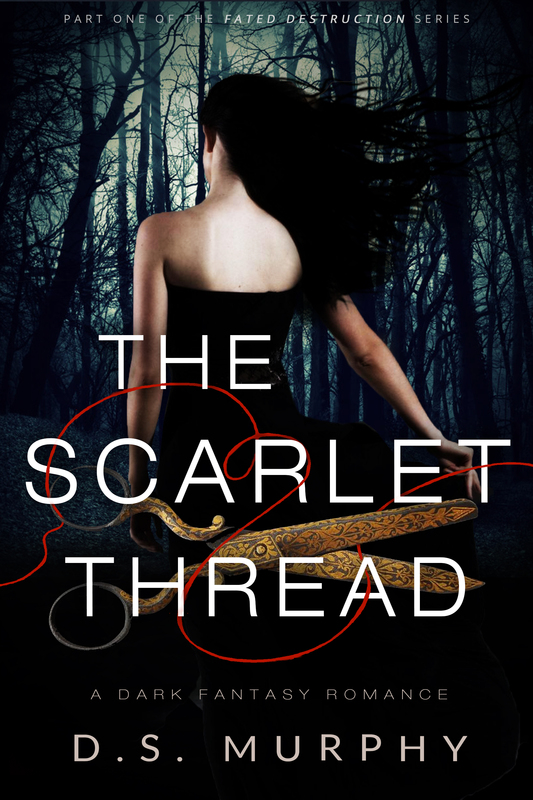 The Scarlet Thread is based on Greek mythology (like Percy Jackson) but becomes an angel romance (like Fallen). You can read a preview (it’s rough!) on Wattpad, or view it on Amazon. You can read a preview (it’s rough!) on Wattpad. Or view it on Amazon. @Creativindie Hi! I just finished Part1 of Orpheum&The Scarlet Thread on Wattpad and am loving both SO.MUCH. Can’t wait to read the rest! Both books will be free on March 12th – 13th. You can download them and review them if you like them. 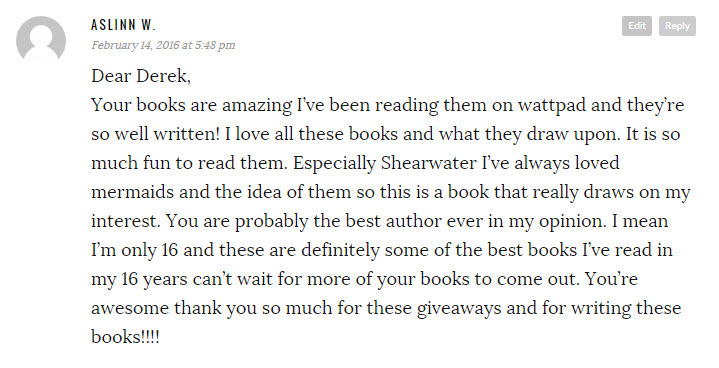 You do not have to buy or review my books to enter the giveaway – you can also just share. This giveaway is international, but if for any reason we can’t ship the corset to your country, you can swap for a $250 Amazon card. You can download/upload this, or just highlight and copy+paste them straight into your WordPress post. Remember you can earn 20 entries just by doing a cover reveal and/or blogging about this giveaway. You can just copy+paste the covers or giveaway stuff to your site. I’ll add the book descriptions down below. My name Kaidance Monroe, and sometimes when I touch people, I see how they die. After I saw my little brother’s death but failed to stop it, my parents abandoned me to a juvenile detention facility. I don’t let people touch me anymore. Not my fingertips, not my skin, not my heart. I make my own clothes by stitching together the donations we get; usually a bunch of crap that fits like a parachute. My sweater is a patchwork of different shades of inky, dark squares. I make plain gray skirts that hang to my knees, with cute or funny T-shirts sewed in. They clash ironically with my unsmiling face. My Allstar high-tops are black and frayed, like my soul. I also wear a chunk of brightly colored legos around my neck. My little brother was working on it the day he died. The day I failed to save him. It’s unfinished, so I’ll never know what it was meant to be. Most days, I just try to get by. But then I got a visit from a cute guy, who tricked me into giving up my secrets. He said I was special. That he needed me. For a while, I believed him. But once I found out what I could really do, I learned everybody wanted the power I possessed. The power to destroy deities. To kill gods. To end the world… or to save it. My heart is torn, and those I loved most betrayed me. I’m trying so hard to do what’s right, but nobody can tell me what that is anymore, and the moral boundaries I’d always let define my life have been shattered. Whose rules should I obey now? Or do I have to make my own? 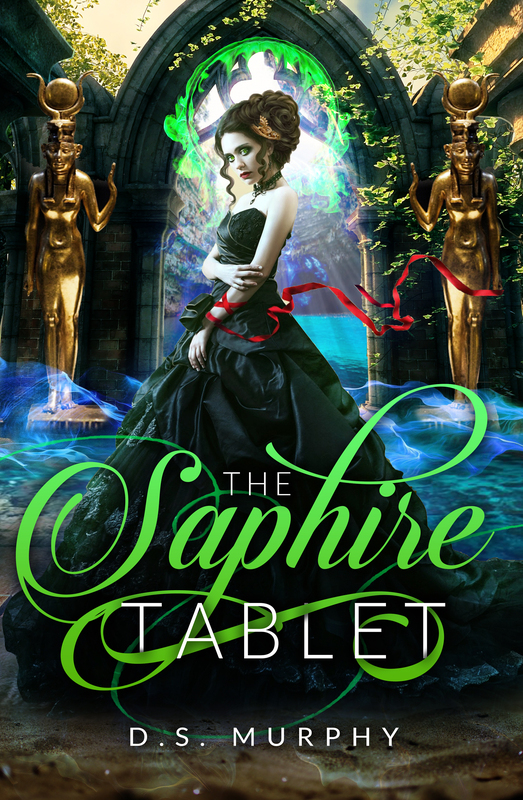 The Scarlet Thread is a dark fantasy for fans of Greek mythology and Gothic romance. Fans of Fallen and Percy Jackson will be captivated by this mashup of fallen angels and forgotten gods. I always knew music was powerful. Even though I rebelled against the marathon forced practice sessions that turned my adolescence into a prison camp, there were moments—even in the mechanical repetition of practice—where I stopped being a robot and felt a kind of transcendence, a connection to something deeper. I wasn’t raised to be religious, but in those fleeting spaces, often between beats in the tempo, my body seemed to go on playing by itself, while my awareness shifted to something greater. Almost like I was outside my body, sitting in the audience, feeling the music wash over me like a pounding surf, telling me to relax. To let go. To give in. But that was before I learned what music really was, and that it was capable of more than just pretty feelings and a mystical connection to a transcendental Other. That it was a weapon, which could cause great pain and destruction; that it was deeper and older than humanity; and that there were forces in the world that wanted to reclaim it for themselves. Orpheum is a young adult dark fantasy romance based on Eastern European history, the myths and literature of Orpheus and Pythagoras’ theory of Musica Universalis, or the music of the spheres. PS) These are both “Part One” of new potential series. I do have them mapped out, but I wanted to get your reaction first and see whether you want to hear how the story ends. So if you like them enough to want to know what happens next, please let me know by reviewing them! PPS) If you’re interested in getting an early ARC, and helping me to troubleshoot/fix any issues, you can sign up as a beta reader.